The new Motherpedia App connects mums to all they want to know while ‘on the go’. In recent months we’ve been working on a way of making all the great information on Motherpedia even more accessible for more mums – and we’ve done it! Our new Motherpedia App is here! And if you have an Android phone, iPhone or iPad, the latest news, expert tips, family activities and product information is available at your fingertips ‘on the go’. Parenting can be joyful and wonderful, but it isn’t always easy. So whether it’s tips for helping children deal with bullies, a sports activity in the local area or tricks to stretch household budgets further, our aim at Motherpedia is to connect mums to real and practical solutions for everyday challenges. Our App features articles on children’s life stages from pregnancy through to teenagers as well as some of our other favourite ‘stuff for mums’ section from work, fitness, around the home, travel, other mum’s opinions, competitions, entertainment and kids activities. With so many people owning a smartphone and more than half of us using it to browse the internet and just on half using their tablet to do so, we thought an App was the most effective way of helping to make Motherpedia part of your life. For many of us, it’s the first thing we reach for when you wake up and the last thing we check before going to bed. It’s an indispensable part of our lives that helps us organise tasks, shop, entertain the kids and connect with friends – and we’re excited to be a part of it and deliver content and information to help make life easier through the Motherpedia App. Download it today to make sure all you want to know is with you 24/7. We hope you enjoy the Motherpedia App, as much as we have enjoyed getting it ready. 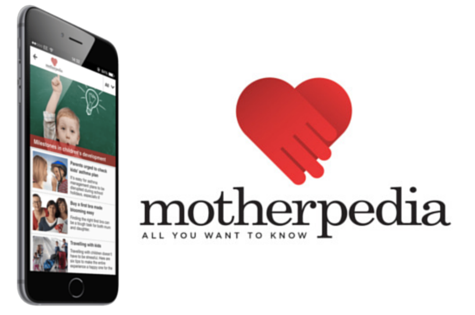 You can download the Motherpedia App for Android, iPhone or iPad here. Please note that some features are not yet available on the iPad version. Congratulations Motherpedia team! I’ve downloaded the App and i LOVE it. Looks great, so many good articles, lots of reading and I LOVE the directory. So handy. Thank you.